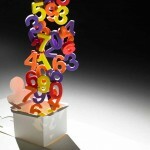 Home » Industry » Consumer Credit Information » Credit Risk: What Really Influences a Credit Score? The short answer is: Your credit behaviors reflected in your credit files at the three largest credit reporting companies — Equifax, Experian and TransUnion – influence your credit score (US role model). This includes information such as your payment history on loans and credit cards, your credit limit used on credit cards, and your total outstanding loan and balances. But the longer and more accurate answer is that what influences your credit score is likely not exactly the same as what influences another person’s, because each consumer uses credit differently and each has different accounts and histories. How certain characteristics are weighted in particular can vary considerably. In other words, just as no fingerprint is exactly the same, every credit file is unique. When VantageScore developed its latest model, VantageScore 3.0, developers reviewed some 900 characteristics. Through extensive testing, to obtain the most predictive score, the latest VantageScore model includes about 140 of these characteristics. While it is highly unlikely that any one credit report would contain all of these characteristics, the point is that there are many moving parts that come together on a credit report, which then influences the credit score. Traditionally, credit score developers have provided a pie chart when asked what impacts a consumer’s credit score. Pie charts are easy to understand, but they tend to oversimplify things. Pie charts have led to the mistaken belief that the percentage of the pie representing a certain behavior is the exact percentage amount of that behavior in calculating a score for everyone. In reality, the actual weighting of behaviors such as making timely (or late) payments, or maintaining a low (or high) balance, differs from one person to the next because of differences in the credit reports. For example, if a person had no recently opened credit accounts, his or her payment history might be weighted more heavily in the absence of other information. On the other hand, if a consumer recently opened 10 credit accounts, then his or her payment history might be weighted to a lesser extent. VantageScore thought at length about how to help consumers better understand this concept and what really influences their credit score, and it believes it is more accurate to provide directional guidance, as explained in the infographic below. The graphic is based on VantageScore latest model, VantageScore 3.0. One should take special note of the recommendations to the right side of the bars. Most people know to pay their bills on time in order to have a healthy credit profile. In fact, 90% of consumers considered “prime,” which are consumers likely to receive the best terms and interest rates for loans, pay all their debts on time. Even a single missed payment can cause your credit score to drop by as much as 100 points in the case of a mortgage, and it can take a year and half to recover fully. If one did missed a payment, it’s not the end of the world. The older negative information is, the less it counts against a credit score, so be sure to pay the delinquent bill as soon as possible and keep current on all your other accounts. You will see your score rise relatively quickly. Consumers with long histories of making on-time payments on multiple credit accounts are statistically less likely to experience a credit default, which is when someone becomes 90 days or more late on a payment. In fact, prime consumers have an average of 13 loans, and the oldest loan is more than 15 years old. Of course there are millions of prime consumers with less than 13 loans and loans that are not 15 years old, so the message is to keep a mix of different accounts and don’t get into the habit of opening and closing loans frequently. Opening accounts on a frequent basis does not help to improve a person’s credit score. On average, a prime consumer’s newest account is more than 3 years old. The rule of thumb is to only open new accounts when necessary and be careful not to become over-extended. 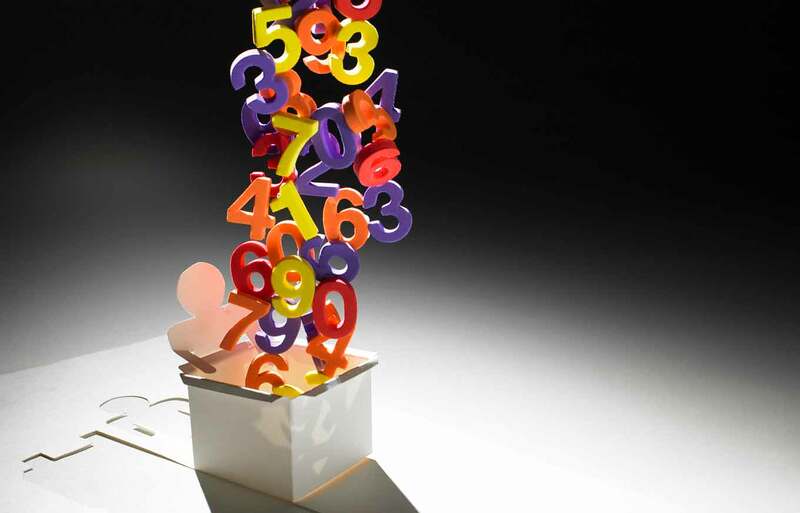 Another rule to having a good credit score is to keep balances low. It’s best to keep credit card balances below 30% of the maximum a credit card lender extends to you. Overall, having credit card debt isn’t necessarily such a bad thing so long as you aren’t maxing out on a single account. For example, prime consumers actually have an average credit card debt of $6,000. Ultimately, this is an effort to help you, the consumer, better understand what impacts credit scores. We’re interested in your feedback. 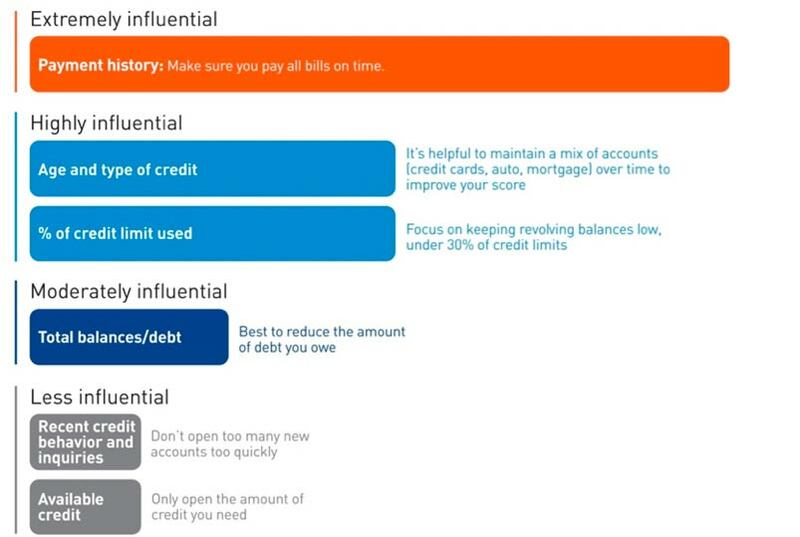 Does this provide you the information you need to understand how to manage your credit accounts more effectively?